Small, pack of 6, for Mini Bow. 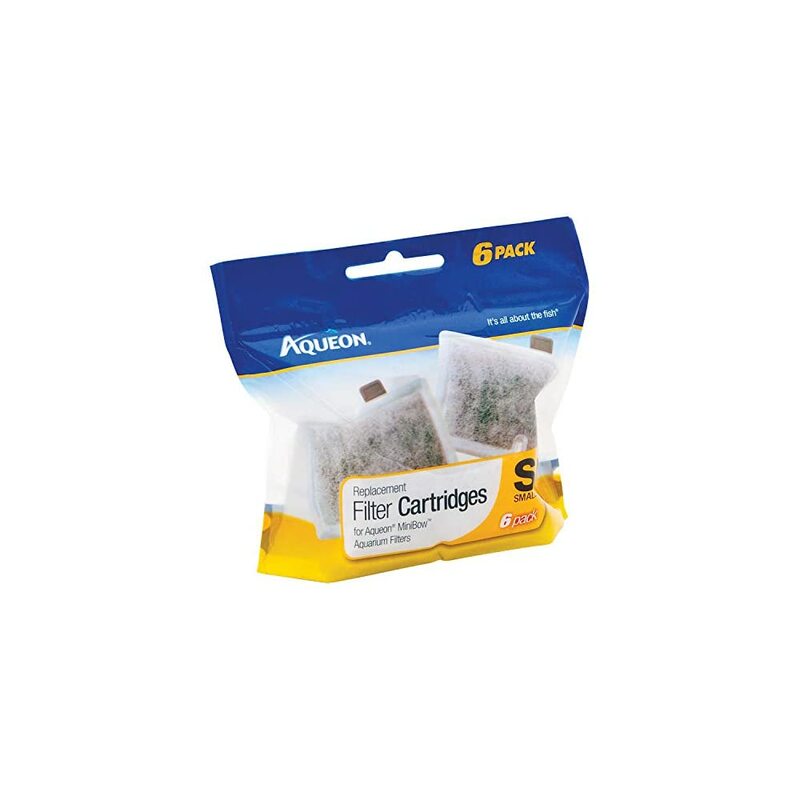 3.25″;L X 3.75″;W. Carbon filter pads help create crystal-clear, healthy water for your aquarium. Safe for fresh or saltwater aquariums. 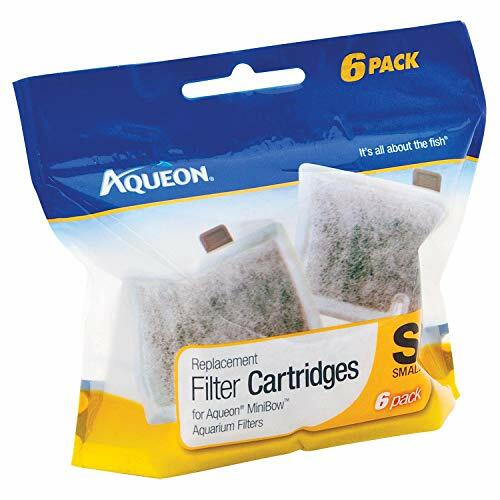 These are solid filter media cartridges, however, I disagree with replacing them every 4 to 6 weeks as this will simply remove beneficial bacteria from the ecosystem.